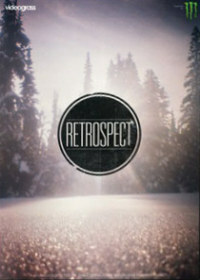 Retrospect is a snowboarding film. From urban environments to remote backcountry locations, it takes viewers straight into the swirling vortex of the postmodern shred experience. The cast of riders is deep and diverse. Their quest for fresh terrain took them down Montreal streets, Alaskan peaks, through the trees in Japan and beyond. British Columbia, New York City, pretty much everywhere. Made by the award-winning creators of In Color, this new movie features a rich HD digital format but also includes vintage VHS and super 8mm footage from the riders’ own archives. With a nod to the past and a focus on the future, Retrospect reflects the current state of snowboard action.